Carefully handcrafted to suit every individual body type, delivering the perfect balance of comfort and support to suit your personal sleep preference. Certified by Oeko-Tex & CertiPUR-US to ensure ethical production and zero harmful chemicals, these are mattresses you can feel good about. The right mattress at the right price, using premium materials without the cheeky mark-up and sneaky marketing tactics used by major brands. Delivered compressed in a box for easy set-up. 125-nights risk free trial and if you don’t love it, return it for free, no questions asked. Onebed mattresses use the highest quality materials to ensure you fall asleep faster, enjoy a deeper sleep and wake up feeling refreshed and ready to tackle the day ahead. We stand behind our products 100%, offering a 15-year warranty on any defects. TOP LAYER : 4CM DUNLOP LATEX A generous four centimeters of Dunlop latex delivers the coolest night’s sleep imaginable, while maintaining a cheeky bounce for night time activities. 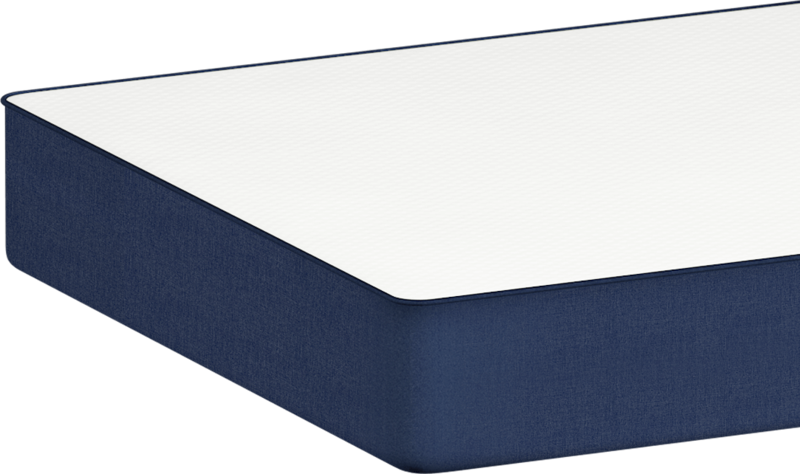 Middle layer: 4cm memory foam High-density, viscoelastic memory foam provides unrivalled pressure relief. As your body heats up, memory foam moulds to the natural contours of your body. 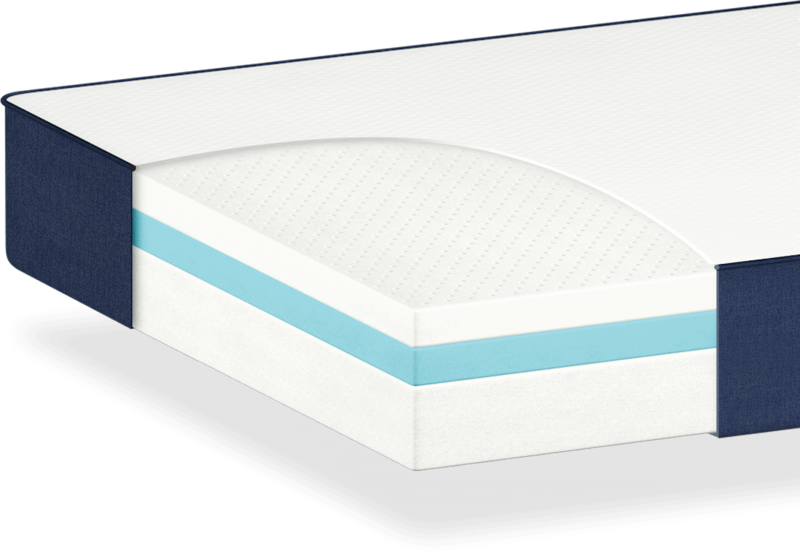 BOTTOM LAYER : 18CM HIGH DENSITY POLYURETHANE SUPPORT Supremely high density polyurethane foam provides the longevity required from a mattress. Supporting all sizes of sleepers for a minimum of 15-years. By far the most popular sleep configuration, your Onebed mattress will arrive with the layers automatically arranged in this order. If you prefer a plusher mattress, simply unzip and switch the latex and memory foam layers around for a softer night’s sleep. 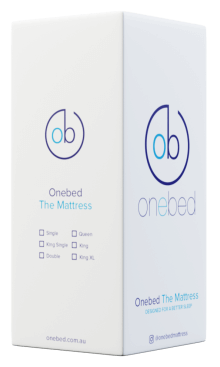 For those who can never quite find a firm enough mattress, unzip and switch the high-density foam to the top for a configuration sure to set you straight. Tired of being woken up by your restless partner? Onebed’s combination of latex and memory foam gives the mattress a zero-motion transfer cushioning effect so you won’t be disturbed by someone else’s tossing and turning. Forget the stress of buying a new mattress, forking out extra cash for hefty delivery fees and struggling to get it inside the house. 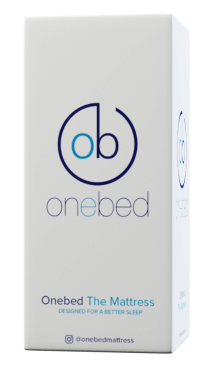 Onebed mattresses are delivered for free, arriving in a compressed esky-sized box that will fit through any door with ease. We’re so sure you’ll love your Onebed mattress that we’re willing to put our money where our mouth is. 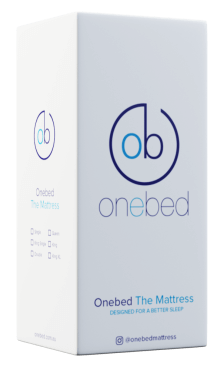 If you don’t adore your Onebed experience, simply get in touch within the first 125 nights for a full refund, with no questions asked. Hassle-free pickup will be arranged at no cost, with all our returns donated directly to The Salvation Army to help someone in need. We've re-engineered the traditional supply chain to remove every unnecessary cost. Forget about giant retail mark-ups, sneaky marketing gimmicks and all the unnecessary bells and whistles that go along with the big brands.